Why is NREPA so important? The Northern Rockies Ecosystem Protection Act is the only comprehensive solution for protecting our national heritage which lies in the mountains, meadows, and rivers of the Rocky Mountains of the great American West. Though one may rarely stray from the hum of civilization, there is great satisfaction in knowing that wilderness still exists, largely untouched by the hand of man. Wilderness provides abundant clean water and air and gives us a place of refuge. It harbors thriving biodiversity and scientific discovery, and it is an integral part of our nation’s history. Yet without protection from Congress or the President, this original American landscape is subject to deforestation, pollution, and development. Our public lands belong to all of us, and it is our duty to protect the immeasurable value of old-growth forests, snow-capped mountains, and freshwater rivers and lakes for many generations to come. A powerful and enduring symbol of the American west, the nation’s last wild bison herd grazes on the open plains of this ancient landscape. Our country’s largest herd of bighorn sheep and elk also still roams the mountain slopes and forests, sustaining key predators like the grizzly bear and gray wolf. These iconic species have disappeared from other states due to habitat fragmentation, pollution, and direct conflict with humans. NREPA will establish corridors linking protected areas, helping to preserve genetic diversity and mitigating the conflict between wildlife and humans that occurs when we encroach on key habitats. These core ecosystems range from old-growth forests and glaciers to cactus desert and alpine tundra. Communities across the world are experiencing more extreme temperatures, the upset of both terrestrial and marine ecosystems, reduced snowpack, and a rise in the intensity and frequency of natural disasters. While places like the Wild Rockies still exist, we can stabilize the climate and preserve our planet for future generations. NREPA will protect North America’s largest wildland region south of Canada, that harbors almost all of the plant and animal species here at the time of the Lewis & Clark Expedition. 200 years ago, this famous journey took the explorers through the rugged terrain that lies within NREPA-protected lands. This is the original American landscape that reminds us why our ancestors fell in love with this country, and why it’s a legacy we must protect. The communities located near the perimeter of the protected lands will benefit from a thriving tourist industry, attracted by the unmatched opportunities for outdoor recreation. This sustainable industry creates jobs, provides additional tax revenue to local communities, and preserves a way of life. 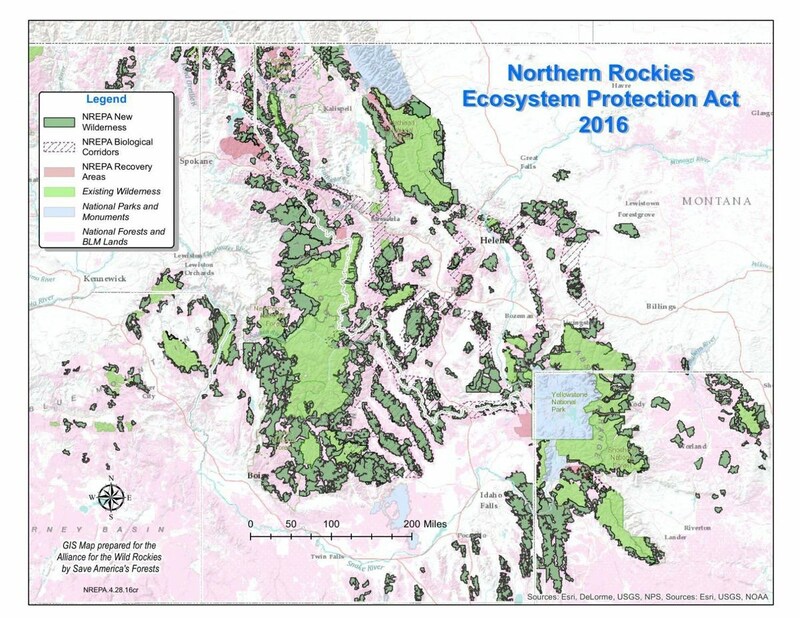 NREPA will protect the invaluable ecosystems of the Rocky Mountains bio-region by creating biological corridors that connect existing wilderness and roadless areas, This bioregion is currently threatened by continued fragmentation and destruction. A bioregion is a territory that can support healthy ecosystems and provide adequate habitat for keystone species, and may also consist of multiple ecosystems connected by wildlife corridors. Properly designated and managed bioregions allow for human interaction with the landscape. Bioregions extend beyond political boundaries and therefore require cooperation to protect. 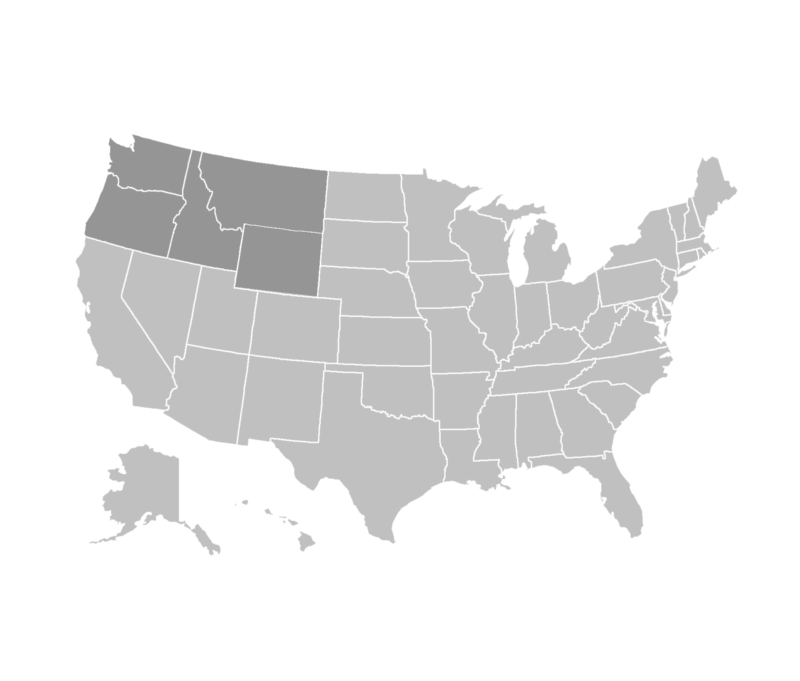 Within the Wild Rockies bioregion there are five main interconnecting ecosystems: Greater Yellowstone, Hells Canyon – Wallowa, Salmon Selway, Glacier Northern Continental Divide, and Cabinet – Yaak – Selkirk. LEARN MORE about the lands of the bioregion. What Lands Will NREPA protect? NREPA-protected lands will stretch across almost 20 million acres of public domain in Idaho, Montana, Washington, Oregon, and Wyoming. Within this bioregion lie five diverse ecosystems, important both culturally and ecologically, that people come to experience from around the world. NREPA protects 1,810 miles of headwaters rivers which feed three different oceans. Wild, Scenic and Recreational River designations will protect these rivers and safeguard ancient migration routes for numerous species of salmon, steelhead, and native trout including bull trout. World-class rafting and boating opportunities will also be preserved while assuring steady flows of high quality water for downstream users. NREPA affords America’s pristine roadless lands with their highest level of legal protection—designation under the 1964 Wilderness Act. These designations (20,572,147 acres) complete the visionary work enacted by previous Congresses and fill important ecological gaps overlooked when our understanding of conservation biology was less advanced. NREPA safeguards against habitat fragmentation by establishing a system of Biological Linkage Corridors to connect the region’s core wildlands into a functioning ecological whole. These areas would be protected as wilderness and as special management zones (3,476,118 acres) where development is limited, but not prohibited. NREPA establishes a pilot system of Wildland Restoration Areas (1,022,769 acres) and creates jobs restoring damage caused by unwise resource extraction practices. Efforts will focus on removal of excess and unneeded roads, reduction of soil erosion, and restoration of native vegetation and water quality. Native fisheries and wildlife populations will be rejuvenated while boosting the economy in rural communities formerly dependent on resource extraction. NREPA respects and honors the rights and religious practices of our first citizens. The Badger–Two Medicine area adjacent to Glacier National Park is designated The Blackfeet Wilderness where traditional Native American uses and treaty rights are fully protected. All areas designated through NREPA explicitly recognize and protect these rights. NREPA establishes two potential additions to our national park system: Hells Canyon-Chief Joseph National Park & Preserve Study Area (1,439,444 acres) along the Oregon/Idaho border and the Flathead National Preserve Study Area (285,078 acres) adjacent to Glacier National Park. Preserve status prohibits developments which impair natural and scenic values, while traditional uses such as hunting, fishing, and firewood gathering and some motorized uses, would continue.